The English Cocker Spaniel temperament makes her an ideal pet, but a terrible watchdog. This is because she’s what you would consider a mushball. She loves to get and give love to everyone she meets. Both English Cocker Spaniels and American Cocker Spaniels have been around for a long time. However, they were both called Cocker Spaniels (and still are today) with no distinction between American or English. That changed in 1946 when the AKC designated the English variant its own Breed and the English Cocker Spaniel became an official name in the US. The “Cocker” part of her name pays homage to her origin as a hunting dog. However, she didn’t go out and bring the fallen game back to her hunter master. Instead, she directed game in the direction of her hunter master’s gun. 2. Loyal – Being faithful to her owner is one of the most notable traits of the English Cocker Spaniel’s temperament. 3. Trainable – She loves to learn, and she loves to please, which makes her very trainable. 4. Quiet – Due to her background as a hunting dog, she knows when to zip her lip and pay attention to what’s going on around her. 5. Affectionate – This is a dog that never shies away from a cuddle. 6. Playful – Her background as a bird hunting dog means that she enjoys physical activity and lots of it. If you need a pick-me-up, spend some time with an English Cocker Spaniel. Her bubbly personality is enough to lift anyone out of a deep funk. She loves to spend time with her humans, and she will carry out any instructions you give her. This is because she wears her heart on her paw. She easily makes the strongest of bonds with every member of the family. When it comes to barking, while most English Cocker Spaniels are quiet, some can be barkers. You must, therefore, train her early to ensure that she knows when is the right and wrong times are to bark. Else, if she goes against her nature and barks at a stranger, she might make for an accidental watchdog after all! While she does love to be busy, she also enjoys just as much an evening home with her family. Her temperament makes her a joy to have around children, as does her size. However, if you have young children (under the age of 6), you need to supervise them around her. This is so no one misinterprets anyone’s behavior and does something they may regret. Something important to remember about the English Cocker Spaniel temperament is that she is very sensitive. For this reason, you should not use harsher methods to train her. If you do not cater to her sensitive nature, you may have the undesired effect of causing her to shut down entirely. She may also become afraid of you if you’re “mean” to her, which is another scenario you do not want. The English Cocker Spaniel guides her actions on a mutual love and respect between her and her master. If she can’t connect to her master on that level, then the disconnect could be irreparable. Here you can find training resources to help you bring the best out of your dog. The English Cocker Spaniel’s coat requires regular maintenance. Brush and comb her at least once a week to prevent mats and tangles. You should also regularly trim her in areas like her feet, face, and under her neck, tail, and ears. Her long ears also make her prone to ear infections, so it is important that you clean the insides regularly. Learn more about proper grooming here. The English Spaniel temperament requires daily exercise to keep her satisfied. Take her on hikes or for long walks. However, keep her on a leash, as her hunting instinct may lead her to look for prey. It may appear to be mean, but she actually prefers if you throw a ball into a pond or lake for her to retrieve. This is because it reminds her of her roots as a hunting dog specializing in waterfowl. 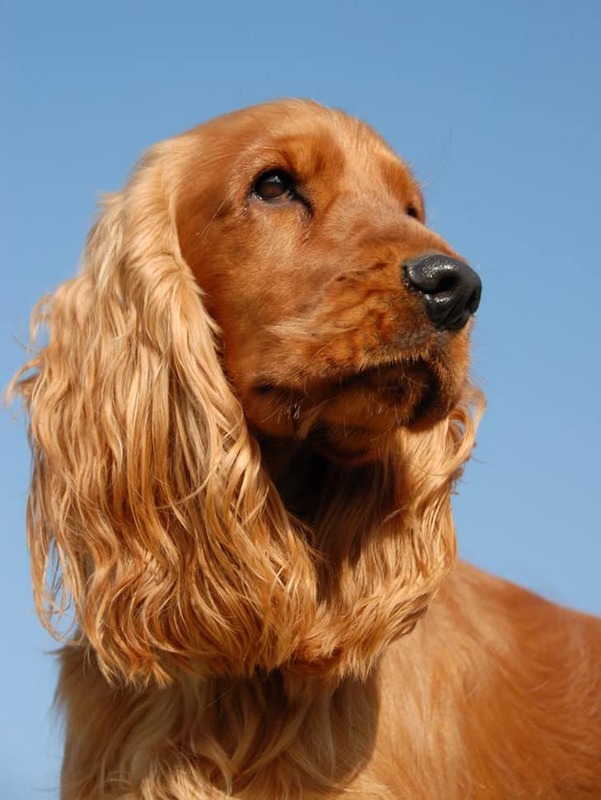 While most English Cocker Spaniels are healthy, it is important that you are aware of the potential health problems to affect the breed. Hip Dysplasia – A very common condition among dogs wherein the hip socket does not form correctly. Hip dysplasia can lead to painful arthritis in the dog’s later years. Familial Nephropathy – An inherited condition wherein the dog suffers from early and potentially fatal kidney failure. Progressive Retinal Atrophy – A genetic eye disease that leads to a loss of vision and potentially full-blown blindness. There is no treatment. Congenital Sensorineural Deafness – An inherited condition that leads to deafness. Adult Onset Neuropathy – A neurological condition similar to ALS in humans. 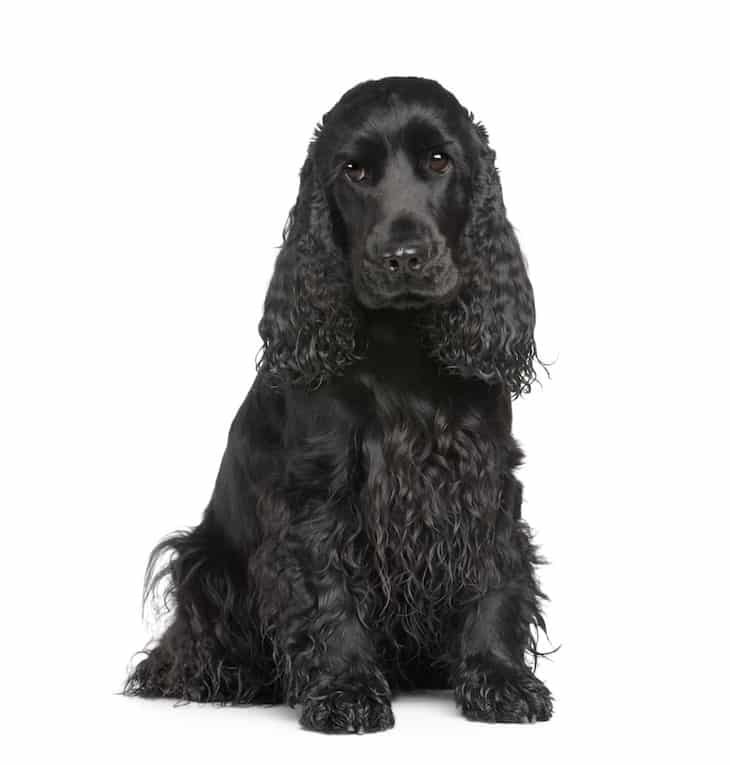 Of all the Spaniel breeds, this condition only really affects English Cocker Spaniels. Dilated Cardiomyopathy – A disease affecting the heart whereby the heart becomes enlarged and cannot function as well. The end result is usually congestive heart failure. The average English Cocker Spaniel size is between 14 and 17 inches tall. They typically weigh between 26 and 34 pounds. Also, the average English Cocker Spaniel lifespan is about 12 to 14 years. If you’re in the market for an English Cocker Spaniel puppy, you need to know the average English Cocker Spaniel price. You should expect to spend between $900 and $1,200 on an English Cocker Spaniel for sale. This is true whether you want a red, blue, or black English Cocker Spaniel. Make sure you’re dealing with a licensed, reputable breeder before you spend money on a dog that may have undisclosed health issues. Petfinder.com is a great resource for when you’re looking to adopt an English Cocker Spaniel. Here, you can search for available dogs in your area, as well as read their pictures and learn their stories. If you’re interested in supporting an English Cocker Spaniel rescue agency, you may want to look into English Cocker Spaniel Rescue USA. Established in 1989, the organization has amassed several locations throughout the U.S. If you choose to make a donation to the organization, you must specify whether you want your donation to go toward health or rescue. You can also adopt a dog through this agency. Rescuing a dog is usually more expensive than adopting a dog at your local shelter. That is because of the costs involved in rescuing the animal and taking care of it until it can find a forever home. When shopping for English Cocker Spaniel puppies, you may find the English Cocker Spaniel Club of America to be of help. This organization’s website is, essentially, a one-stop-shop for English Cocker Spaniel Puppies. Here, you can learn all you need to know about the breed, as well as peruse their breeder directory to find a reputable breeder. 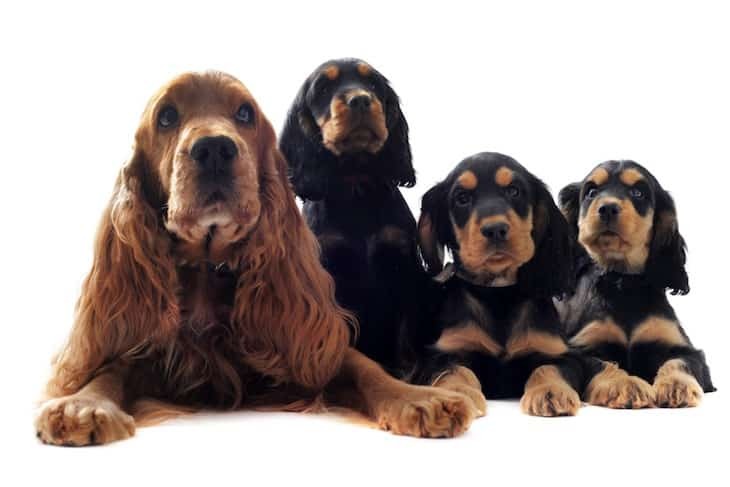 Whether you’re researching English Cocker Spaniel Breeders east coast locations or west, this organization can help. The English Cocker Spaniel temperament makes her quite the little love. She is bouncy, friendly, and eager to please, so training her is a joy. However, when she doesn’t seem like she’s listening, go easy on her. This is not a breed that responds well to harsh scolding. The last thing you want to do is make your little buddy afraid of you – especially one as sweet as this one is. She loves playful exercise, but she also loves relaxing with her family. Whatever you want to do, she’s happy doing it. 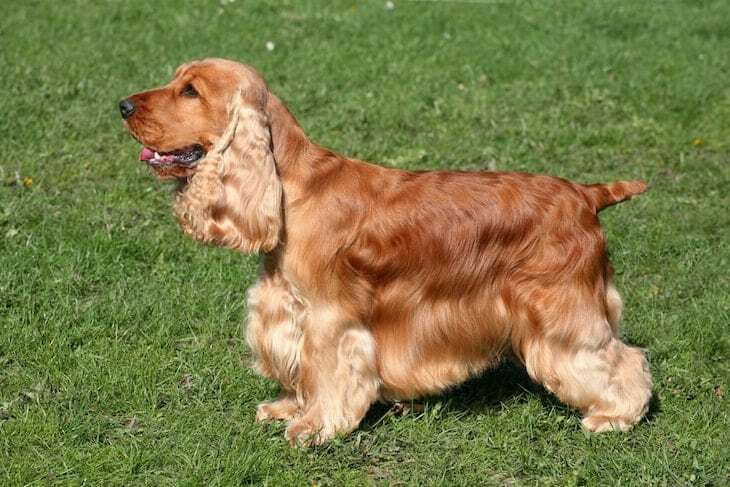 You can purchase an English Cocker Spaniel through a breeder. You can also adopt one via an adoption agency or rescue organization. Just be sure to do your research before you adopt.